Sgt. 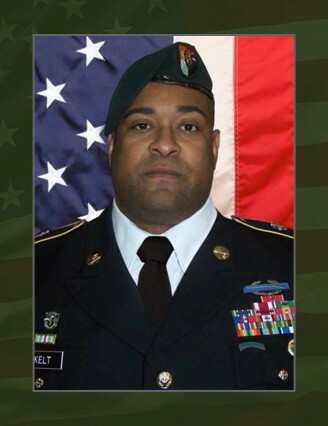 1st Class Roberto C. Skelt, Jr., 41, of York, Fla., died Feb. 12, 2014, of wounds received from small-arms fire in Kapisa Province, Afghanistan. Skelt was assigned to Company C, 2nd Battalion, 3rd Special Forces Group (Airborne), Fort Bragg, N.C., and was deployed in support of Operation Enduring Freedom Afghanistan. Skelt enlisted in the U.S. Army in October 1990 as a signal support systems specialist. He completed initial entry training at Fort Jackson, S.C., followed by advanced individual training at Fort Gordon, Ga. He went on to serve at several duty stations in the United States and overseas. In 2005, he graduated from the Special Forces Qualification Course as a Special Forces engineer sergeant and was assigned to Co. A, 2nd Bn., 3rd SFG (A), deploying with them twice to Afghanistan and once to Yemen. Skelt went on to serve at the U.S. Army John F. Kennedy Special Warfare Center and School and the 1st Special Warfare Training Group (A), Fort Bragg. Upon successfully completing those assignments, he was recently reassigned to 3rd SFG (A). Skelt’s military education includes the Special Forces Qualification Course, the Senior Leader Course, the Physical Surveillance Course, the Basic Airborne Course, the Signal Support Systems Course, and Basic Combat Training. Skelt’s awards and decorations include four Bronze Star Medals, the Purple Heart, three Meritorious Service Medals, three Army Commendation Medals, five Army Achievement Medals, five Army Good Conduct Medals, two National Defense Service Medals, the Kosovo Campaign Medal, the Afghanistan Campaign Medal with three Campaign Stars, the Global War on Terrorism Expeditionary Medal, the Global War on Terrorism Service Medal, the Korea Defense Service Medal, the Army Service Ribbon, three Army Noncommissioned Officer Professional Development Ribbons, four Overseas Service Ribbons, two North Atlantic Treaty Organization Medals, the Special Forces Tab, the Combat Infantryman Badge, and the Parachutist Badge. He is survived by his wife and two sons, his parents, a brother and two sisters.